EdReady does not provide a calculator on the site, because every school has different rules about the use of a calculator. 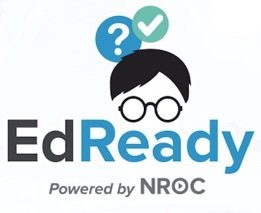 Additionally, if you are using EdReady to prepare for a test, you might not be allowed to use a calculator on the test. So in order for you to be as prepared as possible, we encourage you to work through EdReady without using a calculator. If you are unsure about whether to use a calculator, we encourage you to ask your instructor or advisor what would be best in your situation.